« WHAT DO YOU WANT TO BELIEVE? Here’s a statement that might get you scratching your head: I’m a serious Christian, but I’m not into religion. Huh? 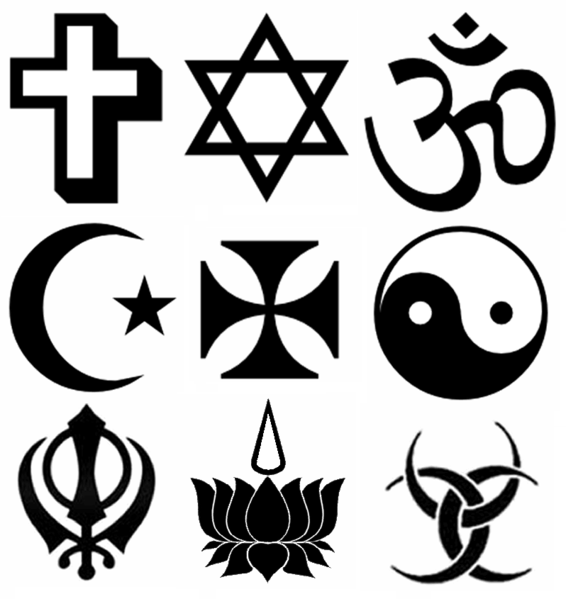 For a lot of people, religion and spirituality are the same thing. But many people of faith will tell you that’s not so. There’s nothing wrong with searching for peace and security. In fact, my commitment to following Jesus Christ (whom serious Christians believe is the divine Son of God) provides just that. However, it’s my faith, NOT my religion. Fine, fine, you say. But am I guilty of linguistic hair-splitting? Some might say yes, but I’ve often found that religious people can be unpleasant and “legalistic” — that is, they spend too much time making sure they and people around them are obeying rules and keeping up proper appearances. Often, these rules and appearances have nothing to do with following Jesus. There’s no shortage of examples: earrings on guys; drinking the occasional glass of beer or wine; attending a mainstream rock concert; getting a tattoo; shopping on Sunday; smoking cigarettes or cigars; missing a church service now and then. Granted, just about everyone knows smoking is terrible for your health, but guess what: it’s NOT listed as a sin in the Bible. In fact, smoking, tattoos, earrings, mainstream music and “religiously” attending worship services are not mentioned at all. Alcohol? One of the four Bible stories recounting the life of Jesus has Him turning water into wine at a wedding. So where does this “religious” drive come from? Part of our desire for peace and security translates into everyone thinking and acting similarly. That makes it easy for people to see who’s “with us” and who’s not. But it seems clear to me that God didn’t make the world for me or anyone else to mindlessly brand (and by brand, I mean “judge”) others. In fact, Jesus had an issue with this branding/judging. One of His most famous instructions is to avoid judging people because whatever standard we use in our judging, that same standard will be used against us. I hope this means something to you, if you’ve ever been left with a bad taste after encountering a religious Christian. And it’s my prayer that Paul’s reminder will stick with me, no matter who I encounter in this life. Do you refer to this unconditional love as YHWH…God…or do you feel it is some supernatural force, but do not believe it is the YHWH that people of the Christian Faith believe? I couldn’t tell for sure from your post, so I thought I would ask. Hope you don’t mind. Although I do not believe in “religion,” the only way is Jesus Christ. No matter how good any of us are, or try to be, if we don’t accept Jesus in our hearts as Lord of our lives, unfortunately, He can’t adopt us from the kingdom of hell. Once again, unfortunately, while we’re here on this earth, we can only serve two masters–Lucifer or YHVH (God Almighty). If we do not serve YHVH by accepting the Holy Spirit, which gives us the ability to stand in the presence of God, otherwise, we appear the same as the darkness in His light…then we spend eternity separated from Him in the place that was made for Lucifer and his enemy troops…Hell. I’m sorry if I offend, but as a disciple of Christ, it is my duty to share this important detail with the world, for YHVH does not want anyone to spend their eternity there; only Satan does. He creates lies, fantasies, and deception within our feeble human minds in order to lure us into false doctrines and the like. So if we believe in forces that are higher powers, and that we’re all part of it…but do not give it a name (which is gnostic), we will be lost when the dark day comes. Good day to you as well, and God bless you abundantly. The root of the word is the Latin verb ligo, comes religo, to tie or bind over again, to make more fast – from religo, comes the substantive religo, which, with the addition of n makes the English substantive religion. For a long time I made the same distinction. Early in life I developed a distaste for religion but have no particular disinclination to faith, although admittedly I wasn’t much into it either, but at least not hostile. What changed all that came later and in particular the push for creationism in school, not in philosophy or literature or some class where it might be appropriate but as science. That became a line in the sand for me and guess where that leads. I actually didn’t even begin to seriously think about faith either until then. As example of how naive I was, I naturally actually thought there were manuscripts somewhere for the bible. That was actually one of my first lines of inquiry. With some many translations available and so many interpretations which one was really correct, presumably not that hard to settle, just go look at the original sources. You can imagine where that line of inquiry goes. And the final step was the general intrusion of religion (I’ll accept your distinction and not blame faith per se) into politics and particularly partisan politics. Whether the religious know it or not, I’ve learned enough history, esp, of our mother country, to know what happens when government does establish religion. I have relatives who fled Europe because they had the misfortune not to believe the established sect and thus were persecuted. It’s really simple (and I even ignore all the non-Christian religions) you can not have religious freedom when someone else’s religious is imposed upon you by government. So the agenda of the religious right is not only anti-democratic and anti-woman, it is anti-religious freedom. So a journey started in my youth with mostly aimless wandering became focused into a hostility toward religion. And so I’m not so sure I can separate faith and religion as you do. Thanks for your thoughtful comment! There’s no doubt about it, “religion” imposed by governments is simply nasty. And I can confidently write that if I had not been able to separate what most folks think of as “religon” from a real life-changing relationship with Jesus, I would Not have become a Christian. This is a great topic! I hear variations on this statement from people all the time: “I’m not religious”, when in reality neither are they particularly spiritual, or “I don’t need church. I can pray/worship anywhere”, when in reality they don’t have a solid prayer life, either. Makes me think of Jesus’ words, “Blessed are they that hunger and thirst after righteousness, for they shall be filled.” And the inverse, too – if we don’t have a hunger and thirst for righteousness, we will continue to stumble along under our own power, without the righteousness, peace and joy that only Jesus Christ can provide. This is very wise and I agree with all my heart. In the part of the world in which I know find myself there was an ugly history of condemnation to the point of banishment, torture, and even execution for those whose Christian views did not agree with the Puritan majority. Execution in God’s name! Just imagine it! Just as today I cringe and feel aghast at things that are done supposedly in Jesus’ name. Frank, I tend not to identify with the conclusions of your posting, but I would like to thank you for offering a perspective to consider.